The rich phenolic content of olive mill waste water obtained as by-product during olive oil production and its antioxidant, antithrombotic, anti-inflammatory, hypocholesterolemic, antimicrobial, antiviral, and anticancerogenic activities have been revealed by scientific studies. One of the main components of olive oil is 3,4-dihydroxyphenyl ethanol (3,4-DHPEA). Although the effect of 3,4-DHPEA was studied on many types of cancer, studies on prostate cancer are limited in the literature. For this purpose, similar and different cytotoxic effects of 3,4-DHPEA on 5 human prostate cancer cell lines differing in origin, genetic structure, and characteristic features were investigated. The 3,4-DHPEA was applied on prostate cancer cell lines (LNCaP, C4-2, 22Rv1, PC3, and DU-145) at different concentrations for up to 72 hours and cell viabilities were measured by the Cell Titer-Glo luminescence assay. All experiments were performed in 3 parallel and repeated 3 times. Results were compared with analysis of variance (ANOVA) and the probabilities less than 5% (P<0.05) were evaluated as significant. The 3,4-DHPEA showed time- and dose-dependent cytotoxicity on all cell lines used. The most sensitive cell line was LNCaP with 72 hr IC50=25.64 µg/mL value and the least sensitive cell line was PC3 with 72 hr IC50=58.81 µg/mL value. Nearly entire LNCaP population was found to be dead after 75 μg/mL of 3,4-DHPEA treatment for 48 h. The fact that different cancer cell lines developed from prostate tissue show different degrees of sensitivity to 3,4-DHPEA could be due to the different origins, different genetic structures (e.g. some cells have phosphatase and tensin homolog (PTEN) gene mutation), and different characteristic features (e.g. some of the cell lines used were androgen-dependent and the others are androgen-independent). Zeytinyağı üretimi sırasında oluşan yan ürünlerden zeytin karasuyunun zengin fenolik içeriği ve buna bağlı olarak antioksidan, antitrombotik, antiinflamasyon, hipokolesterolemik, antimikrobiyal, antiviral ve antikanserojenik aktiviteleri bilimsel çalışmalarla ortaya konmuştur. Zeytin karasuyunun temel bileşenlerinden biri 3,4-dihidroksifenil etanol (3,4-DHPEA)’dür. 3,4-DHPEA’nın birçok kanser tipi üzerinde antikanserojenik etkileri araştırılmasına rağmen prostat kanseri üzerindeki etkilerini irdeleyen çalışmalar literatürde sınırlı sayıdadır. Bu amaçla çalışmamızda, 3,4-DHPEA’nın orijin, genetik yapı ve karakteristik özellikler bakımından farklı 5 insan prostat kanseri hücre hatları üzerindeki benzer ve farklı sitotoksik etkileri araştırılmıştır. 3,4-DHPEA farklı konsantrasyonlarda prostat kanseri hücre hatları (LNCaP, C4-2, 22Rv1, PC3 ve DU-145) üzerinde 72 saate kadar uygulandı ve hücre canlılıkları Cell Titer-Glo luminesan testi uygulanarak belirlendi. Tüm deneyler 3 paralel yapıldı ve 3 kere tekrarlandı. Sonuçlar varyans analizi (ANOVA) ile karşılaştırıldı ve %5’den düşük olasılıklar (P<0.05) anlamlı olarak değerlendirildi. 3,4-DHPEA, kullanılan tüm hücre hatları üzerinde zamana ve doza bağlı sitotoksisite göstermiştir. En hassas hücre hattının 72 saatlik IC50=25.64 µg/mL değeriyle LNCaP ve en az hassas hücre hattının ise 72 saatlik IC50=58.81 µg/mL değeriyle PC3 olduğu tespit edildi. LNCaP popülasyonunun 48 saat 75 µg/mL 3,4-DHPEA muamelesi sonunda tamamına yakınının öldüğü görülmüştür. Prostat dokusundan gelişen farklı kanser hücre hatlarının 3,4-DHPEA’ya karşı farklı derecelerde hassasiyet göstermeleri hücrelerin farklı orijin, farklı genetik yapı (bazı hücrelerin fosfataz ve tensin homolog (PTEN) gen mutasyonuna sahip olması gibi) ve farklı karakteristik özelliklere (kullanılan hücre hatlarının bazılarının androjene bağımlı bazılarının androjenden bağımsız olması gibi) sahip olması sebebiyle olduğu düşünülmüştür. Artajo, L.S., Romero, M.P., Morelló, J.R., Motilva, M.J. (2006). Enrichment of refined olive oil with phenolic compounds: Evaluation of their antioxidant activity and their effect on the bitter index. Journal of Agricultural and Food Chemistry, 54(16), 6079-6088. Aruoma, O.I., Deiana, M., Jenner, A., Halliwell, B., Kaur, H., Banni, S., Corongiu, F.P., Assunta Dessi, M., Aeschbach, R. (1998). Effect of hydroxytyrosol found in extra virgin olive oil on oxidative DNA damage and on lowdensity lipoprotein oxidation. Journal of Agricultural and Food Chemistry, 46(12), 5181-5187. Bono, A.V. (2004). Overview of current treatment strategies in prostate cancer. European Urology Supplements, 3(1), 2-7. Bouaziz, M., Grayer, R.J., Simmonds, M.S.J., Damak, M., Sayadi, S. (2005). Identification and antioxidant potential of flavonoids and low molecular weight phenols in olive cultivar Chemlali growing in Tunisia. Journal of Agricultural and Food Chemistry, 53(2), 236-241. Cansino Alcaide, J.R., Martínez-Piñeiro, L. (2006). Molecular biology in prostate cancer. Clinical and Translational Oncology, 8(3), 148-152. Capasso, R., Evidente, A., Schivo, L., Orru, G., Marcialis, M.A., Cristinzio, G. (1995). Antibacterial polyphenols from olive oil mill waste waters. Journal of Applied Microbiology, 79(4), 393-398. Cardinali, A., Linsalata, V., Lattanzio, V., Ferruzzi, M.G. (2011). Verbascosides from olive mill waste water: assessment of their bioaccessibility and intestinal uptake using an in vitro digestion/Caco-2 model system. 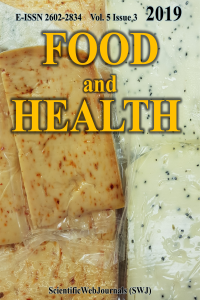 Journal of Food Science, 76(2), H48-54. Fabiani, R., De Bartolomeo, A., Rosignoli, P., Servili, M., Montedoro, G.F., Morozzi, G. (2002). Cancer chemo-prevention by hydroxytyrosol isolated from virgin olive oil through G1 cell cycle arrest and apoptosis. European Journal of Cancer Prevention, 11, 351-358. Fabiani, R., Rosignoli, P., De Bartolomeo, A., Fuccelli, R., Servili, M., Montedoro, G.F., Morozzi, G. (2008). Oxidative DNA damage is prevented by extracts of olive oil, hydroxytyrosol, and other olive phenolic compounds in human blood mononuclear cells and HL60 cells. Journal of Nutrition, 138(8), 1411-1416. Fabiani, R., Sepporta, M.V., Rosignoli, P., De Bartolomeo, A., Crescimanno, M., Morozzi, G. (2012). Anti-proliferative and pro-apoptotic activities of hydroxytyrosol on different tumour cells: The role of extra-cellular production of hydrogen peroxide. European Journal of Nutrition, 51(4), 455-464. Fki, I., Allouche, N., Sayadi, S. (2005). The use of polyphenolic extract, purified hydroxytyrosol and 3,4-dihydroxyphenyl acetic acid from olive mill waste-water for the stabilization of refined oils: A potential alternative to synthetic antioxidants. Food Chemistry, 93(2), 197-204. Facchini, A., Cetrullo, S., D’Adamo, S., Guidotti, S., Minguzzi, M., Facchini, A., Borzì, R.M., Flamigni, F. (2014). Hydroxytyrosol prevents increase of osteoarthritis markers in human chondrocytes treated with hydrogen peroxide or growth-related oncogene α. PLoS ONE, 9(10), 1-9. Ibarra, A., Sniderman, Z. (2008). Olive polyphenol concentrate. US patent application 20080014322 A1 Jan 17th. US patent application. Luo, C., Li, Y., Wang, H., Cui, Y., Feng, Z., Li, H., Li, Y., Wang, Y., Wurtz, K., Weber, P., Long, J., Liu, J. (2013). Hydroxytyrosol promotes superoxide produc-tion and defects in autophagy leading to anti-prolife-ration and apoptosis on human prostate cancer cells. Current Cancer Drug Targets, 13(6), 625-639. Orenay Boyacioglu, S. (2018). Role of PTEN in modulating preventive effect of 3,4-DHPEA against oxidative stress. Erciyes University Journal of Health Sciences, 27(1), 48-54. Quiles, J.L., Farquharson, A.J., Simpson, D.K., Grant, I., Wahle, K.W.J. (2002). Olive oil phenolics: effects on DNA oxidation and redox enzyme mRNA in prostate cells. The British Journal of Nutrition, 88(3), 225-234; discussion 223-224. Rosignoli, P., Fuccelli, R., Sepporta, M.V., Fabiani, R. (2016). In vitro chemo-preventive activities of hydroxytyrosol: The main phenolic compound present in extra-virgin olive oil. Food & Function, 7(1), 301-307. Sepporta, M.V., López-García, M.Á., Fabiani, R., Maya, I., Fernández-Bolaños, J.G. (2013). Enhanced chemopre-ventive activity of hydroxytyrosol on HL60 and HL60R cells by chemical conversion into thio deriva-tives. European Journal of Pharmaceutical Sciences, 48(4-5), 790-798. Siegel, R.L., Miller, K.D., Jemal, A. (2016). Cancer statistics. CA: A Cancer Journal for Clinicians, 66(1), 7-30. Soler-Rivas, C., Espín, J.C., Wichers, H.J. (2000). Oleuropein and related compounds. Journal of the Science of Food and Agriculture, 80, 1013-1023. Sousa, A., Ferreira, I.C.F.R., Calhelha, R., Andrade, P.B., Valentão, P., Seabra, R., Estevinho, L., Bento, A., Pereira, J.A. (2006). Phenolics and antimicrobial activity of traditional stoned table olives “alcaparra”. Bioorganic & Medicinal Chemistry, 14(24), 8533-8538. Warleta, F., Quesada, C.S., Campos, M., Allouche, Y., Beltrán, G., Gaforio, J.J. (2011). Hydroxytyrosol protects against oxidative DNA damage in human breast cells. Nutrients, 3(10), 839-857. Zhou, C.K., Check, D.P., Lortet-Tieulent, J., Laversanne, M., Jemal, A., Ferlay, J., Bray, F., Cook, M.B., Devesa, S.S. (2016). Prostate cancer incidence in 43 populations worldwide: An analysis of time trends overall and by age group. International Journal of Cancer, 138(6), 1388-1400. Zubair, H., Bhardwaj, A., Ahmad, A., Srivastava, S.K., Khan, M.A., Patel, G.K., Singh, S., Singh, A.P. (2017). Hydroxytyrosol Induces Apoptosis and Cell Cycle Arrest and Suppresses Multiple Oncogenic Signaling Pathways in Prostate Cancer Cells. Nutrition and Cancer, 69(6), 932-942.